Robert Bernhardt was born in 1921, the second of three children. He was educated in the Evansville Public Schools and graduated with a B.S. degree from Indiana University in 1943. Florence Rupper Bernhardt was also born in 1921 in Evansville. She attended Evansville schools and graduated from Reitz High School in 1939. She attended Depauw University her Freshman, Junior, Senior years but attended Evansville College her Sophomore year. She graduated from Depauw in 1943 with a degree in home economics. Bob and Florence were married just a few years later. In 1957, Bob bought Kight Lumber Company in Newburgh, Indiana. They raised three children and built up the family business early on. In 1963, Kight opened its Evansville yard on Boonville Highway. Since 1957, it has grown from 11 to 130 employees. In 1988, they sold the company to their two sons. 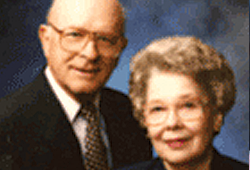 Bob was an 87-year member of Bethel UCC, serving as president of the church council. He was a charter member of Rolling Hills Country Club and enjoyed golf trips to Scotland and Florida. Bob and Florence loved to travel and visited more than 50 countries. Bob was also a member of the Optimist Club, Toastmasters and Kennel Club. Bob loved life and touched many lives along the way. Florence wrote a recipe column for the Evansville Press in the mid 1950's. In the late 1960's she taught sewing, cooking, and budgeting skills to women at Stewart Service Center through the Cape Program. She was known for her wonderful baking skills and loved to share her goodies with friends and neighbors. She was a member of Christian Fellowship Church and volunteered many hours of service there. In 1985, Bob and Florence established the Bernhardt Memorial Scholarship at the University of Evansville in honor of Bob's parents. Going a step further, Bob and Florence left their legacy in an additional way by including the University in their estate plans. 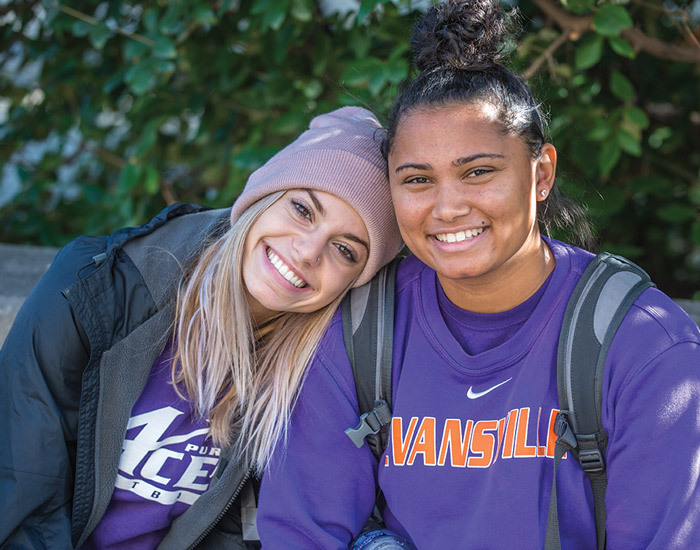 Through the establishment of a Charitable Remainder Annuity Trust, upon their passing, the Fred Bernhardt Memorial Scholarship was established to honor Bob's father, Fred J. Bernhardt who was a member of the Evansville College Board of Trustees for 27 years as the Endowment Treasurer. Their generosity and philanthropic spirit in the greater Evansville community has and will continue to make a profound impact on others. Their legacy will certainly live on at UE in the hearts and minds of students.